. Published on Wednesday, February 4, 2015 . It’s been said over and over again, and I’m sure I don’t need to remind you, but a dog is a man’s best friend, am I right? As someone who’s owned a dog for about half her life, I know firsthand the loyalty, unconditional love and endless laughter these cuddly and lovable animals bring to the world, and life would be such a dreary place without them. Here are some of the reasons why dogs make the best best friends! 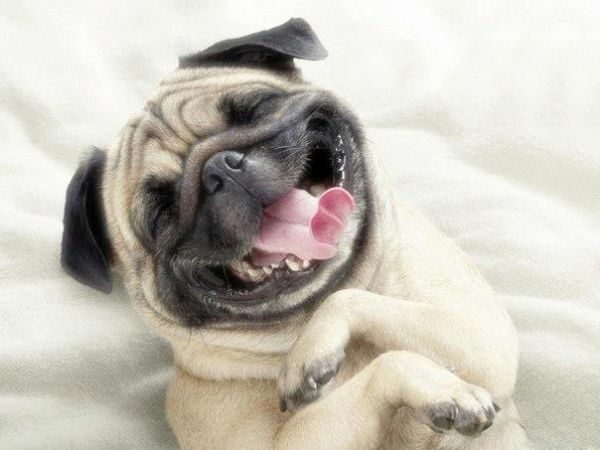 **As a proud pug owner, I’m inclined to have a bias towards pugs. Deal with it and enjoy. They’re excited to see you all the time. They love food just as much as you do. And they’ll guard it with their life. They’re the best co-pilot during a car ride. They’ll get ratch at the club with you. Their clumsiness ensures you’re always smiling or laughing. Did I mention their clumsiness? They put up with you like no one else will. No, but really, I bet your friends wouldn’t let you do this to them. Yes, they also know where to draw the line. But most of all, they’ll always love you. Share your best videos and picture of your dogs with us using the hashtag, #CampusCropChat on Facebook, Twitter and Instagram! If you love dogs as much as I do, then Puppies in the Park is the event to go to, Broncos! Overcome your midterms stress with the cutest and cuddliest pups around. For more details, click here.